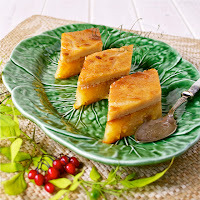 Kakanin is a collective term for rice based sweet Filipino snacks and cakes. The root word kanin simply means rice. These snacks lost their popularity when the Western fast food chains reached the Philippine shores and influenced the tastes of the mall going public. Their popularity has been revived in the recent years when they, too, were sold in malls and supermarkets. I made this kakanin for fun. 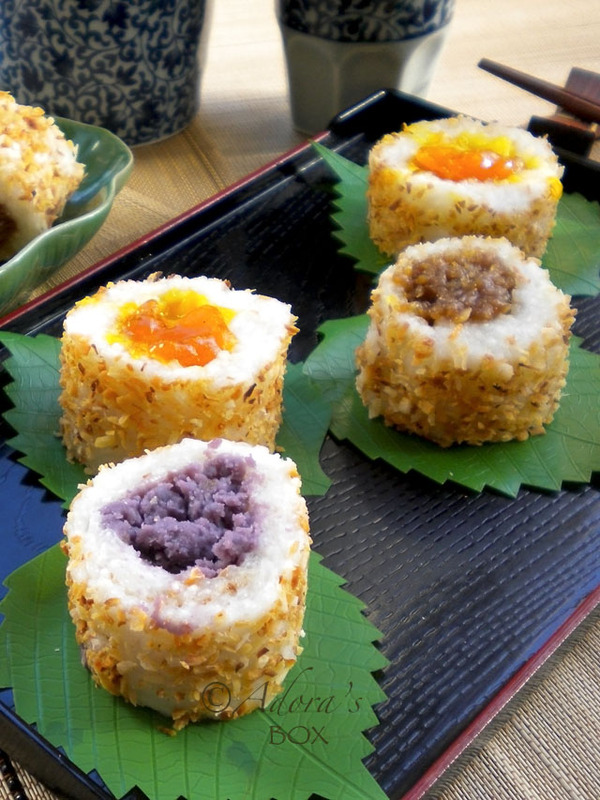 These are sticky rice rolls that look like Japanese sushi. 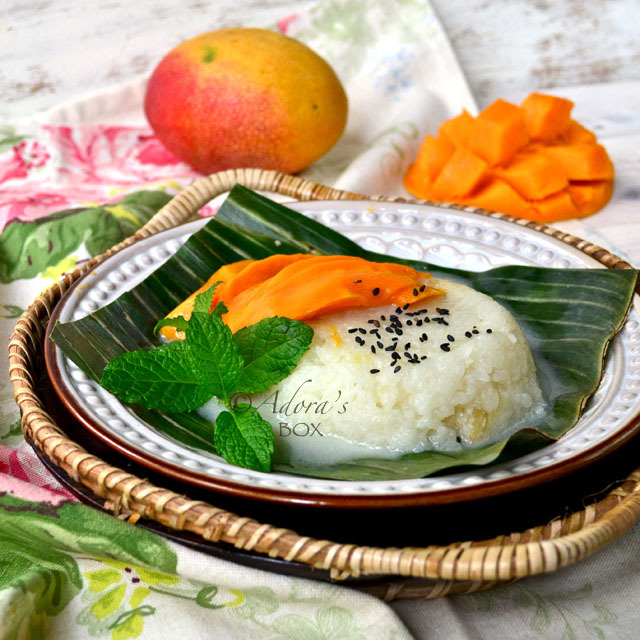 The rice roll is sweet sticky rice cooked in coconut milk and filled with a selection of Filipino favourite sweets such as halaya (purple yam jam) , sweet coconut and mango jam. You can ring the changes with any filling you like. 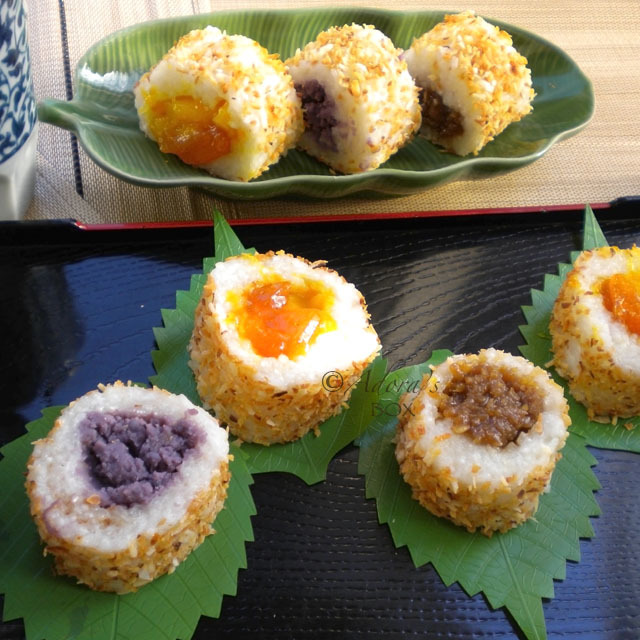 The filled rice roll is lightly dredged in toasted dessicated coconut before being cut. Put the uncooked rice in the rice cooker pot. Add 1 c. of the water and leave to soak for 20-30 minutes (or up to 4 hours). Add the rest of the water and 100 mls. of the coconut milk. Add 1 tbsp. of the sugar and the salt. 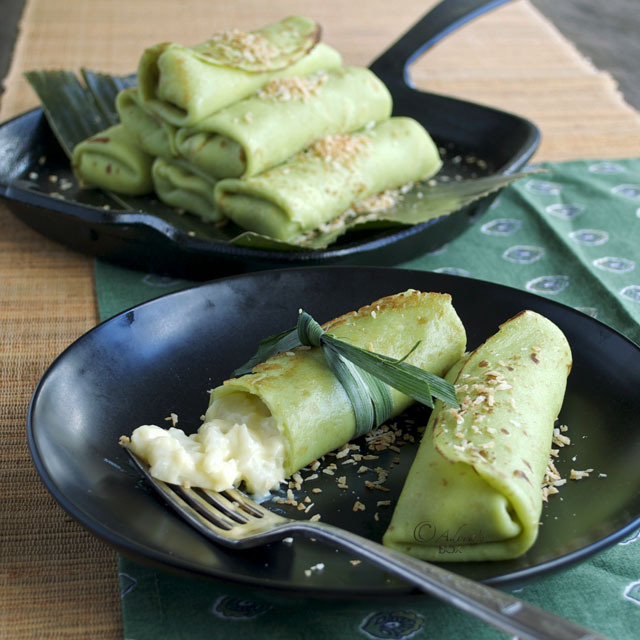 Stir then tuck in the pandan (screwpine) leaves into the rice grains. Switch the rice cooker on. Soak uncooked rice in water. Drain well. Cover a sushi mat with cling film and lay a sheet of non-stick baking paper (wax paper). Scoop out 1/2 of the cooked rice on top of the paper, cover with another sheet of baking paper, and lightly roll with a rolling pin to make a 1cm. thick sheet of rice. Take the top sheet of paper off. 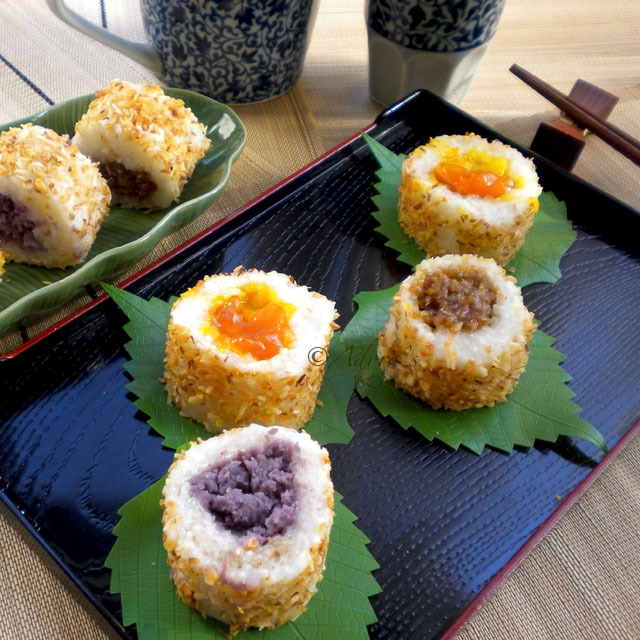 Put a long, log shape of filling in the middle of the rice and roll with the sushi mat. For the mango flavour spread with mango jam first then mango slices. Roll in toasted dessicated coconut before cutting into pieces. 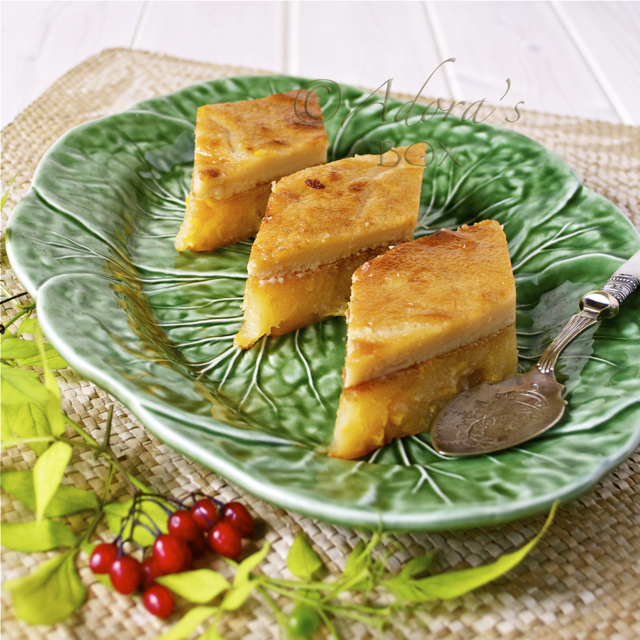 To toast coconut, put the desiccated coconut in a dry pan and dry fry until golden brown. So creative, Adora! I'm craving those little sushi rolls now. 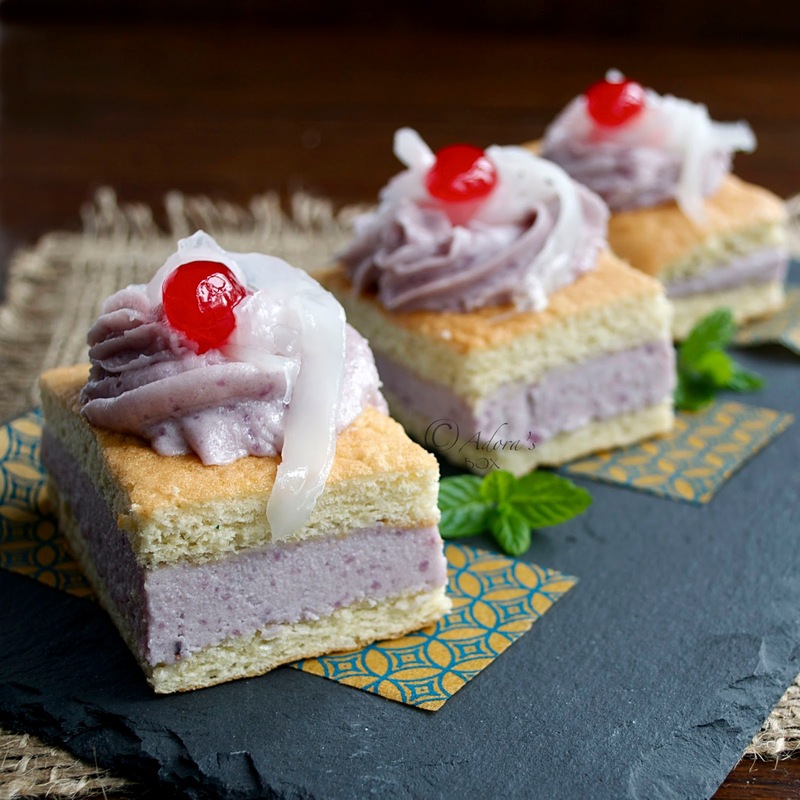 The fillings of ube, mango and coconut are perfect with sticky rice. I love love this take on sushi. I can't wait to try it. These look so good! I've never heard of these before they look very interesting - definitely want to give these a try! That's super awesome!!! I love it when people resurrect things from the past. Presenting them as sushi rolls was also an extremely clever idea! I had never heard of Kakanin before -next time I see the term I'll know that it refers to rice-based sweets ... so this is quite educational :) They do look so colorful and pretty. This this so delicious. I bet my daughter would love it and she's been wanting to make her own sushi and I think this is a great idea. Thanks for sharing!